Saturday Night Live ended their 2013 season with a terrific song written by Fred Armisen and performed by Ian Rubbish and the Bizarros, which is Fred Armisen’s punk rock alter ego. 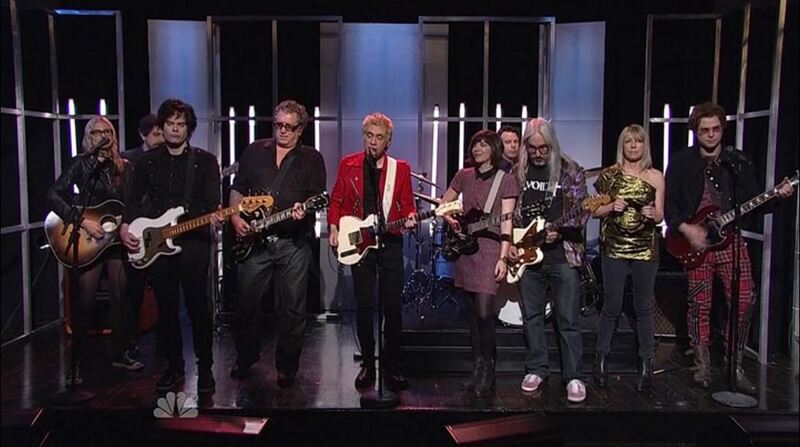 This was the last SNL to feature Fred Armisen, Bill Hader (bass) and quite probably Jason Sudeikis (drums). It’s been a great run gentlemen. Thanks for all the laughs. UPDATE: Download the MP3 single for FREE from the Ian Rubbish website! Rolling Stone magazine talks about their final performance and the indie rock royalty that joined them on stage. UPDATE: The video is no longer available on Hulu. Their hard drive must be full again. Here’s the clip on Hulu, and the lyrics and chords are below. Enjoy! UPDATE 2014-02: View the handwritten lyrics on the IanRubbish website. The lyrics below differ slightly from the original because it was the best I could make out. Bugger all! It's still a lovely day.